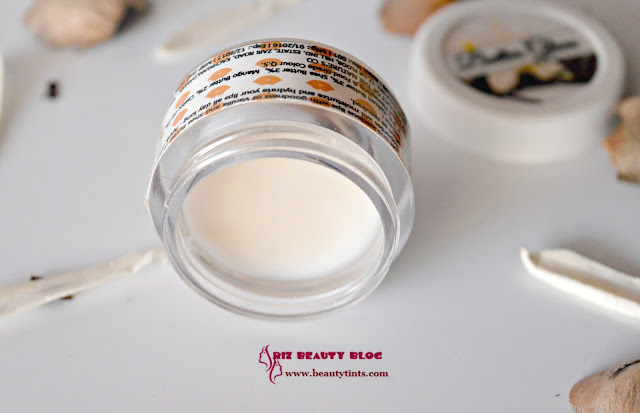 Sriz Beauty Blog: The Nature's Co Vanilla Lip Butter Gloss Review!!! 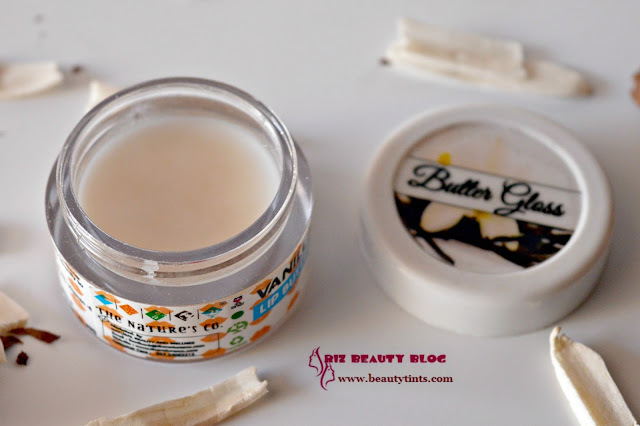 The Nature's Co Vanilla Lip Butter Gloss Review!!! Today I am reviewing the newly launched Vanilla Lip Butter Gloss from The Nature's Co.The brand has released a Lip scrub and a few Lip Butters recently.There are 3 variants in the Lip Butters : Vanilla,Cherry and Orange.These Lip Butters from The Nature's Co are first of its kind and are like the advanced version of lip balms. These hydrate and give soft & luscious lips all day long and all year round!!! 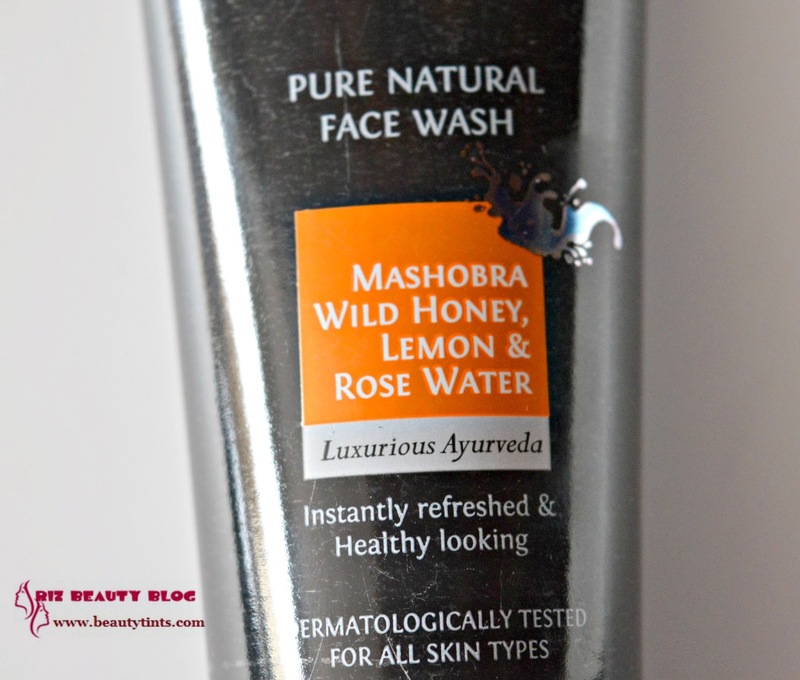 What the Brand Says: An array of natural luxurious one stop shop for bath, beauty and wellness products. Vegan- PETA certified and Eco friendly. Range of skincare & hair care.At The Nature's Co. "nature" is the way of life. All our products contain natural ingredients that are against animal cruelty, vegan and of best quality from across the globe. All our products are manufactured using natural hill spring water.We use natural preservatives instead of synthetics such as parabens to enrich and revive your senses. At The Nature's Co. we believe that the secret to a healthy and beautiful skin lies in pure nature. Following this philosophy we strive to give you a luxurious and indulgent body experience using the five essential elements of nature. 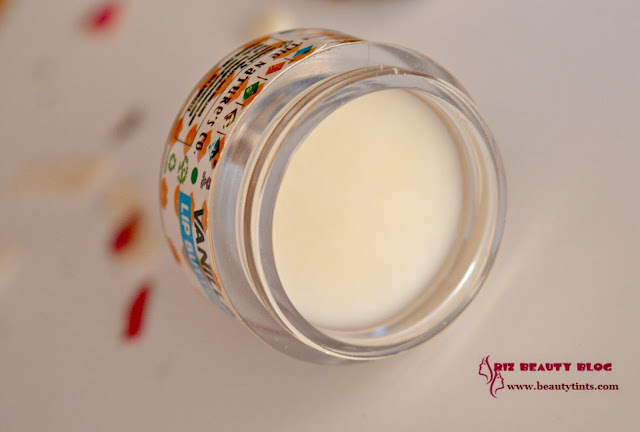 Our products include : Body Lotions, Body Wash, Face Wash, Face Creams, Lip Balms, Aromatic Candles and Incense sticks, Essential massage oils, Hand and nail cream, Bath salts, Shampoos, Conditioners, Hair oils, Eye pillows. 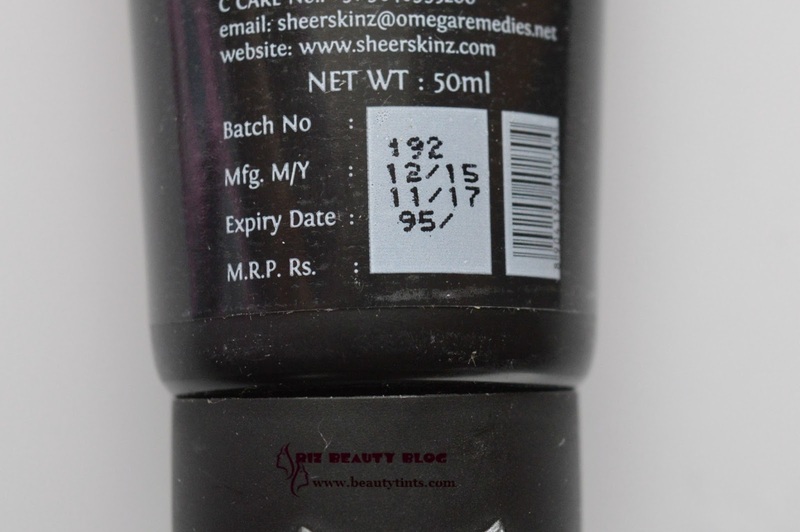 To know more about them and to explore their range of products, visit their website and facebook. 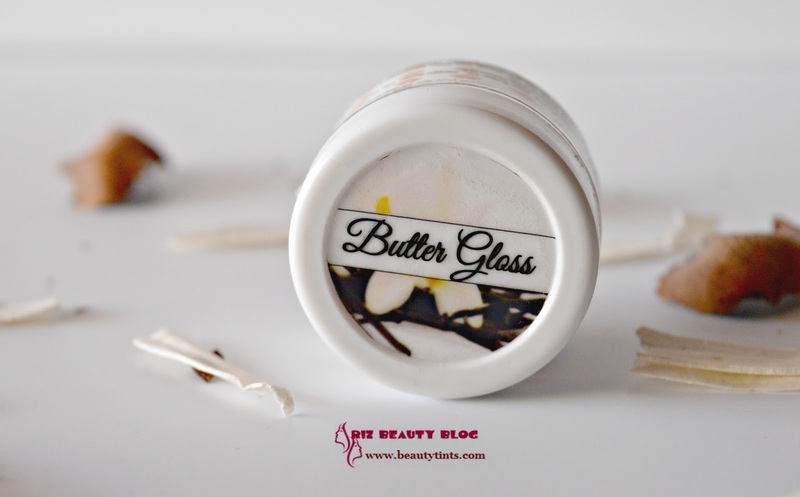 Packaging :The lip butter comes in a cute little tub packaging with a screw cap.It has an inner lid for extra protection. 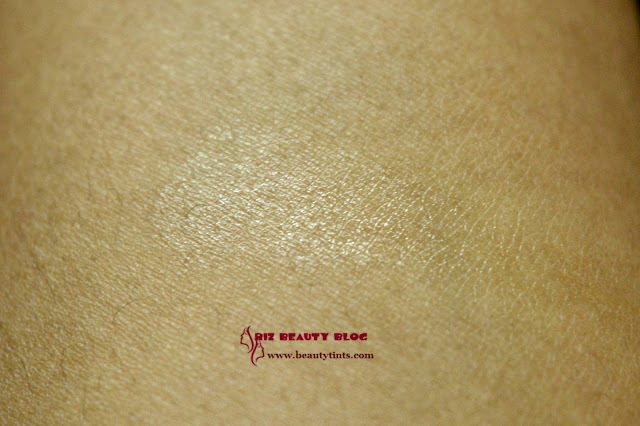 Color and Texture : This is a transparent lip butter with super soft texture. What the Product Claims : Get delicious,soft and luscious lips with goodness of vanilla and calming properties will moisturize and hydrate your lips.Apply as often as required. 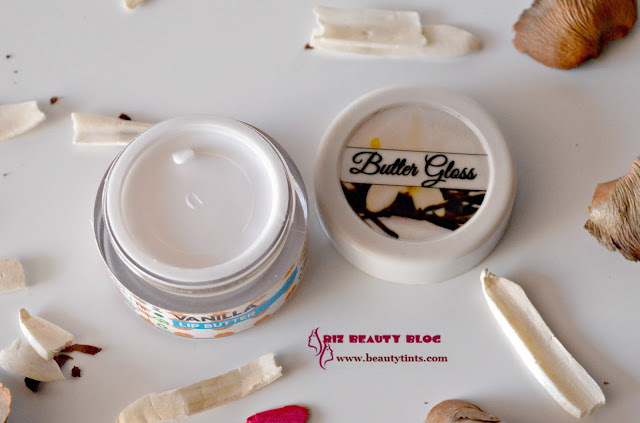 Ingredients : Vanilla Flavour, Kokum Butter, Shea Butter, Mango Butter, Castor oil, Vitamin E.
My View On the Product : This lip butter comes in a cute light weight travel friendly tub packaging with a screw cap and an inner lid for extra protection.The lip balm looks off white in the tub but upon application,it turns transparent with out any tint.It has a very light texture and glides smoothly on the lips.When I first heard about the lip butter,I imagined it to be very thick like the body butter but surprisingly,it is quite opposite.It is extremely light on the lips and we do not get a feeling that we have something on our lips.It gives a nice glossy finish similar to that of a clear lip gloss,but the shine is very subtle and natural.It has a very delicious vanilla fragrance. 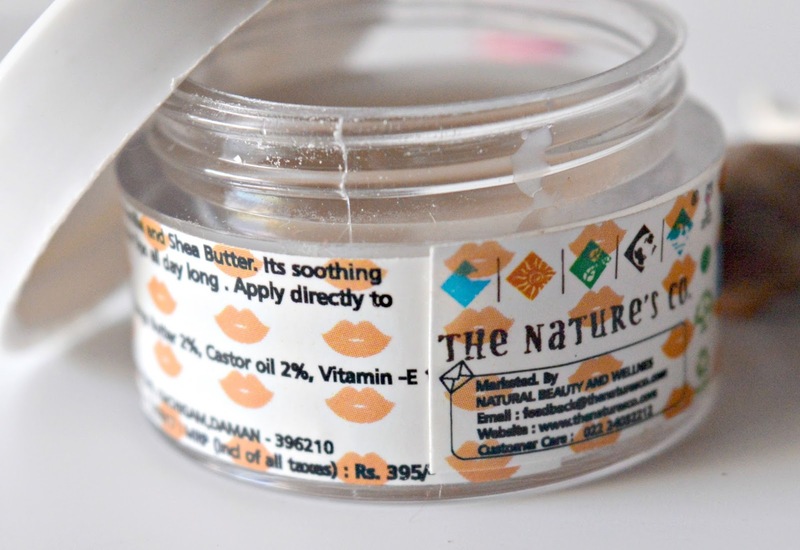 It shine stays on lips for 1-2 hrs but later on it gets absorbed completely and hydrates the lips for good 5-6 hrs.It makes lips extremely soft and supple.It heals dry and chapped lips effectively.It is a wonderful base under lipsticks.This Lip butter is 2 times more effective and 2 times thinner in consistency than the lip balms.It doesn't feel heavy or sticky or greasy on the lips.I love to use this before going to bed,as it gets enough time to work better and as a result,it gives a nice plumped up look to the lips in the morning.As a result the lips look fuller! 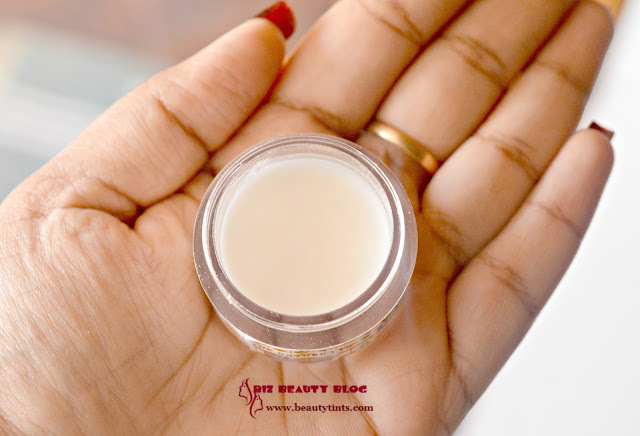 One more important feature of this lip butter is it retains moisture and prevents dehydration,so the lips do not get chapped easily. 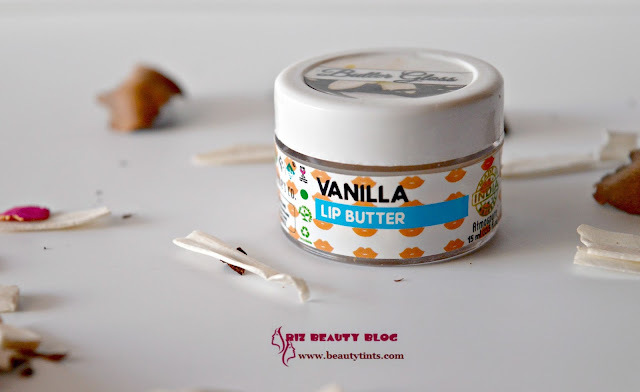 This lip butter is made of impressive ingredients like Kokum Butter, Shea Butter, Mango Butter, Castor oil, Vitamin E,which are not only completely organic but also very effective in hydrating the lips.It is devoid of harmful chemicals and preservatives.This is a cruelty free product and Peta certified product.The price is on the higher side but after looking into the wonderful ingredients list,it justifies the price and not only that a teeny tiny amount is enough every time and so this 10 ml tub lasts really longer!!! 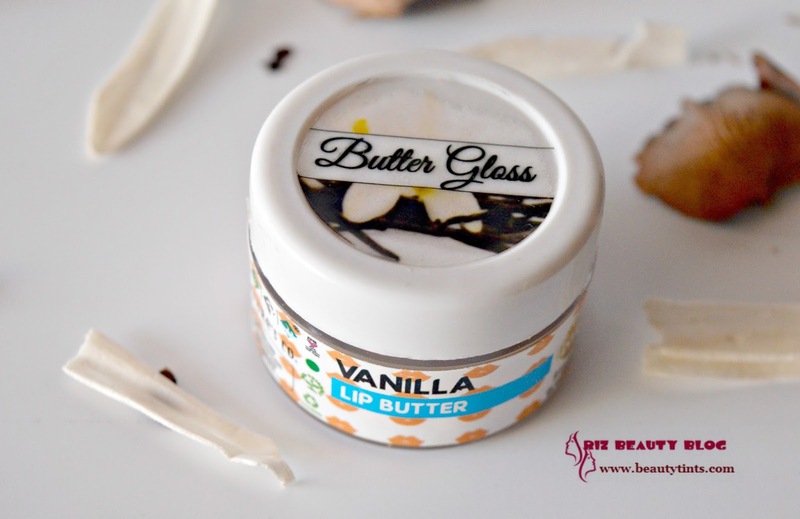 Final Conclusion about The Nature's Co Vanilla Lip Butter Gloss : Those who want to try something which works better than a lip balm in terms of hydration and healing of chapped lips should give this completely organic Vanilla Lip Butter gloss a try!!! 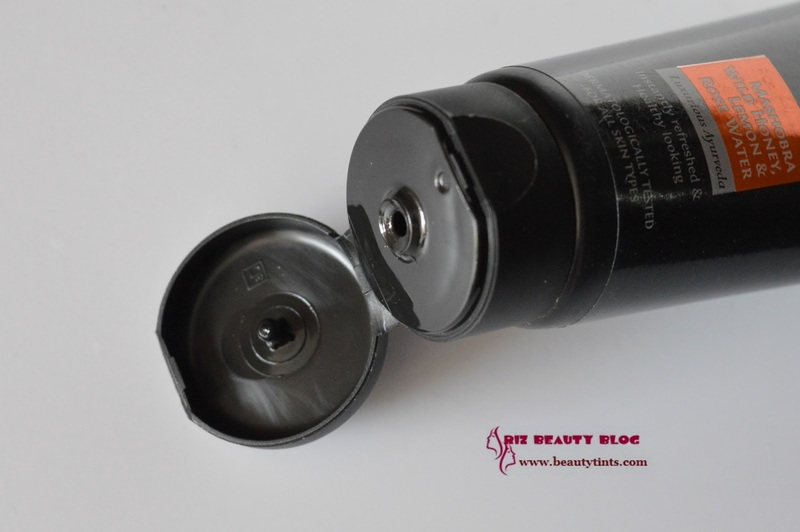 Have you tried this or any other variant ?